Quality safe encryption used to protect data when transferring digital currency Bitcoin. It is compact and can be worn as a keychain. Do you want to keep your bitcoins under surveillance and safe from hacker attacks? Do not hesitate to buy this excellent safe with advanced cryptography, which is precisely designed to protect your digital currency during transactions. Pocket safe with a capital S! The most trusted and secure way to store bitcoins is supported by connecting the safe to a computer via USB, which renders the device completely isolated. For a regular currency transaction, enter the amount alongside with the recipient's address, and confirm both with a password. This safe works in a similar way, but private key authorization is done outside the PC with multiple authentication and one-way run only. Every transaction information is displayed on the screen and only manual confirmation can process this transaction, therefore the efforts of hackers to use unauthorized software for intervention are in vain. Additionally, everyone can handle a quick set-up according to step-by-step instructions. 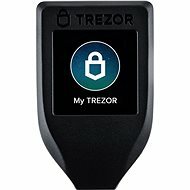 I would like to ask you if is manual of Trezor-crypto wallet (Trezbit) in slovak or czech? Thank you. 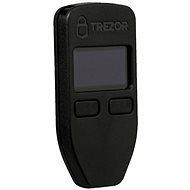 Hi, 1)Does Trezor Wallet store Ethereum coin? 2) Can we store Bitcoin and Ethereum on same Trezor wallet? 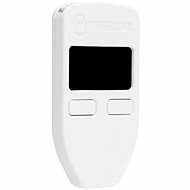 Does this trezor contain the updated firmware? Für Versand nach Deutschland, besuchen Sie bitte TREZOR Bitcoin Wallet Grau. Chcete doručit zboží do Česka? Prohlédněte si TREZOR Bitcoin Wallet Grey. Chcete doručiť tovar na Slovensko? Prezrite si TREZOR Bitcoin Wallet Grey. Für Versand nach Österreich, besuchen Sie bitte TREZOR Bitcoin Wallet Grau. For shipping to the United Kingdom visit this page TREZOR Bitcoin Wallet Grey. Magyarországra történő kiszállításért tekintse meg ezt a termékoldalt: TREZOR Bitcoin Wallet szürke.